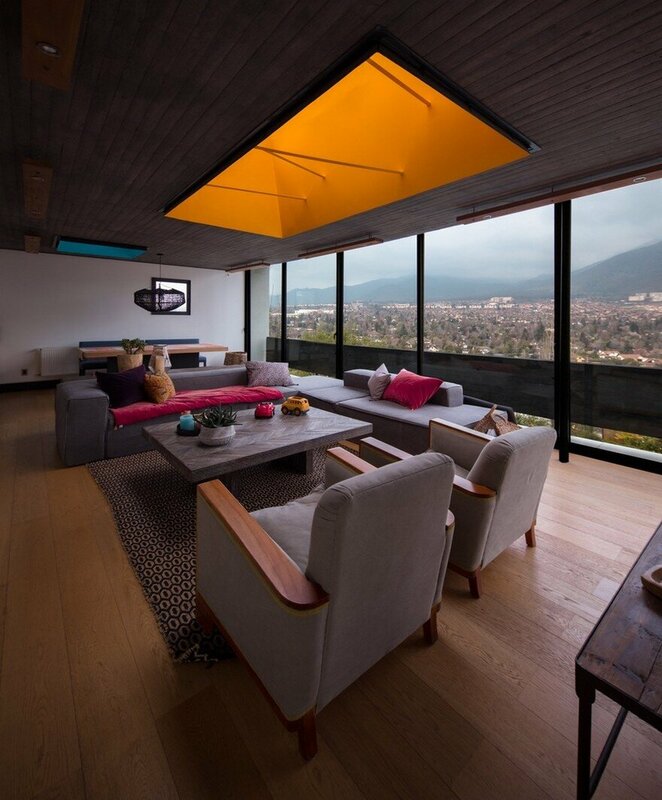 This beautiful home is located in a residential area at the foothills of Los Andes mountain range. 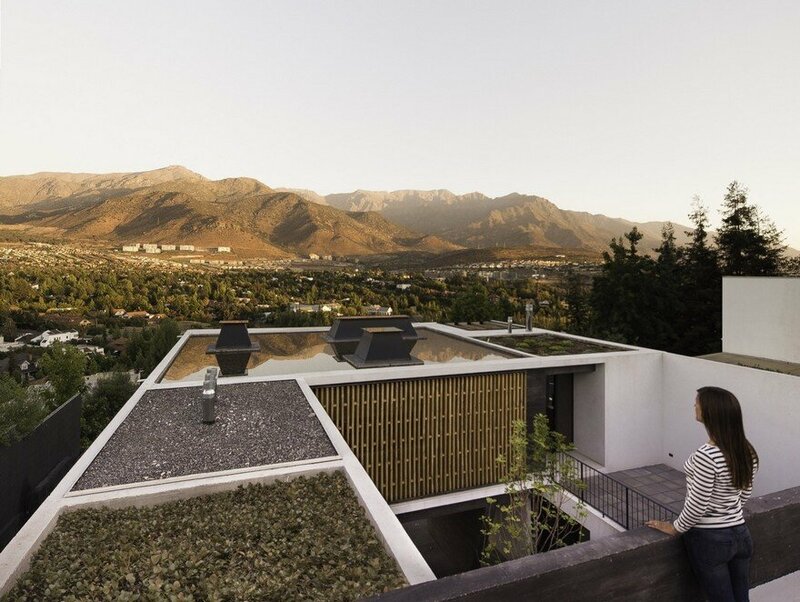 The plot, located on the east face of a small island hill, face the Andes mountains just a few kilometers away, creating a frontal relationship and a perception of vastness, very scarce at city level. 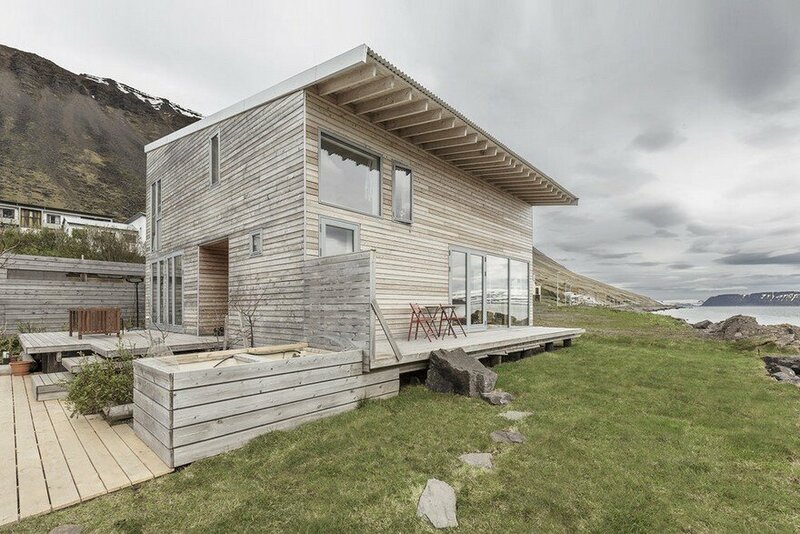 These powerful mountains presence, as well of the steep topography, where the primal conditions for the development of the project. 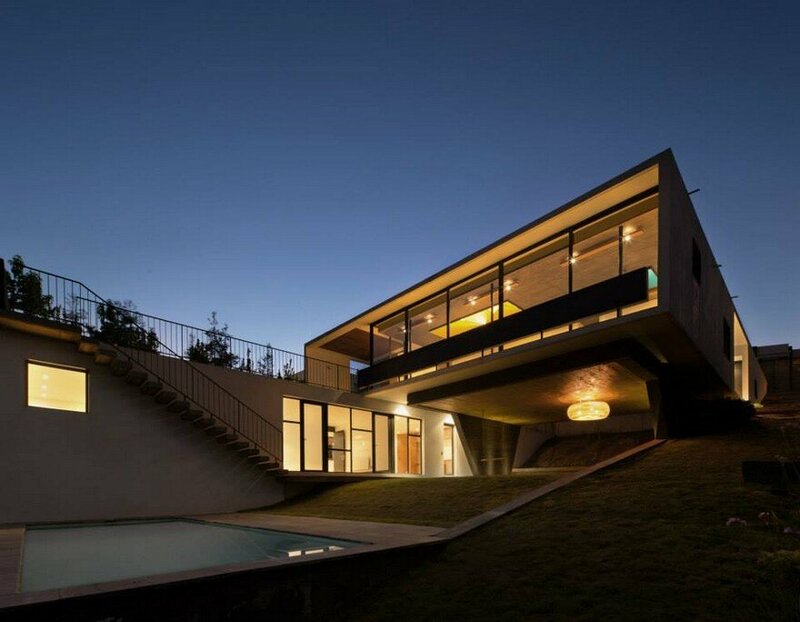 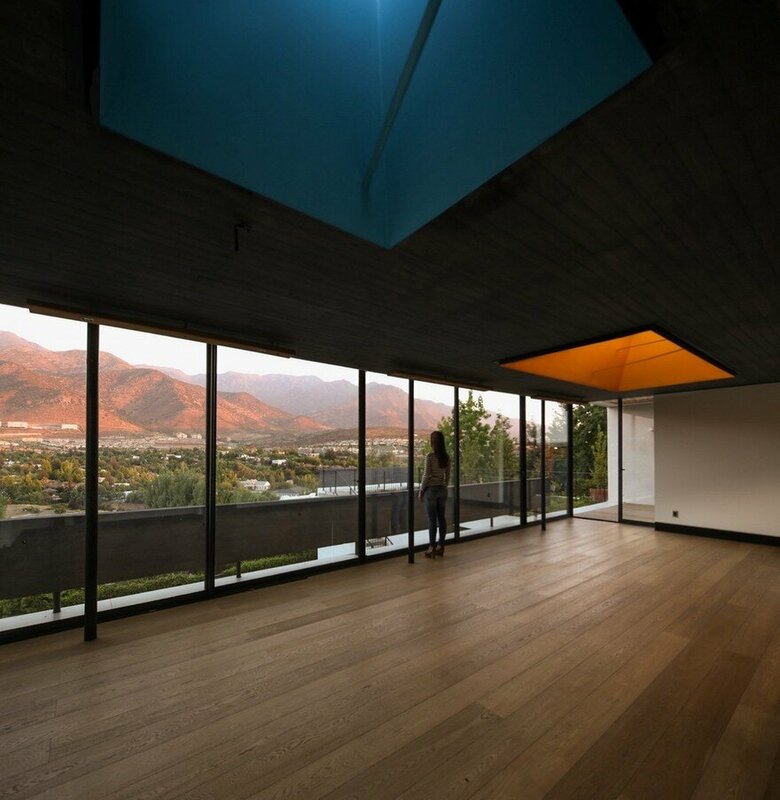 The house lays on the slope in two levels, the roof of the superior volume is at the same level as the street, building a spatiality that hides the body of the house and gives the public space a visual bond with the Andes. 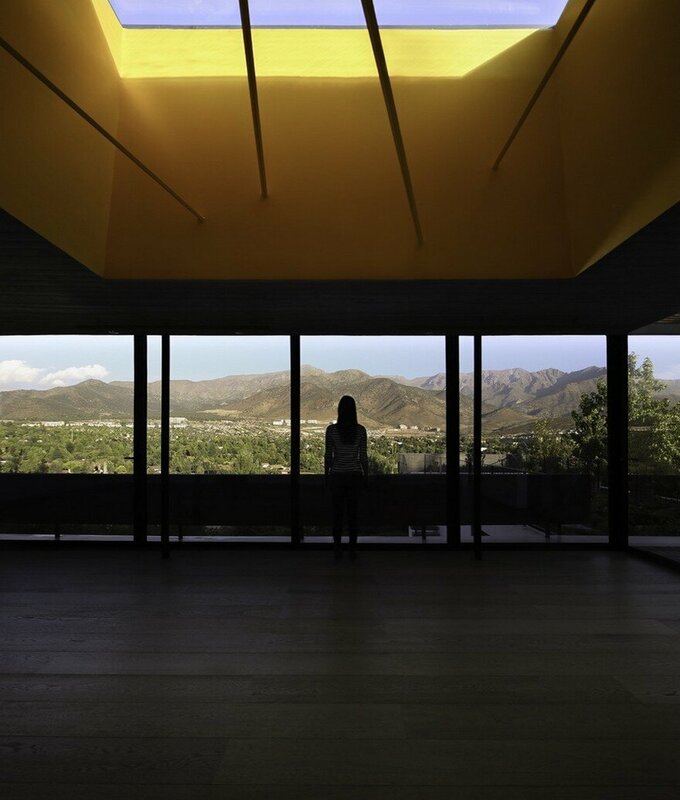 This condition its exacerbated by putting a water mirror above the roof, reflecting the distant mountains towards the access, transforming it in the principal façade of the house. 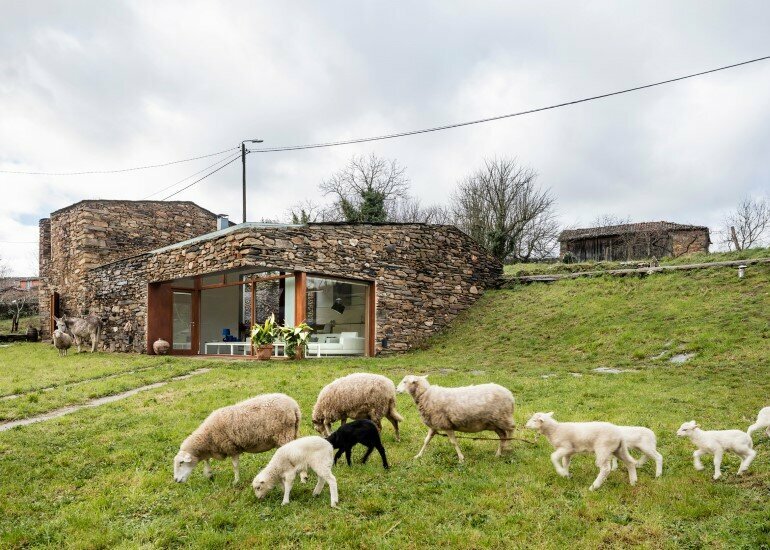 In the superior level are the most public parts of the program, this volume is conceived floating breadthways of the plot, allowing that the main space of the house has a completely open view towards the landscape. 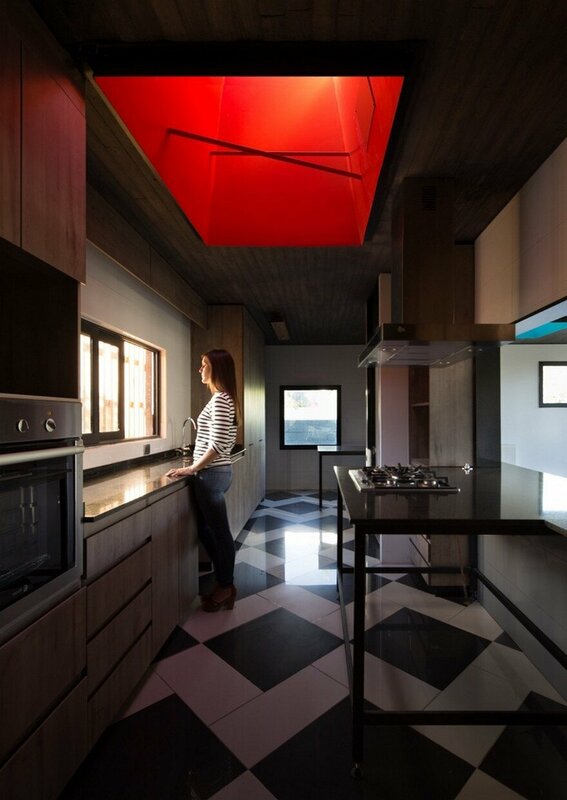 This focus in the distance its balanced with a series of colored steel skylights, that bring natural lighting in the afternoons and seek to build some interiority spots in the space of the living room, dining room and kitchen. 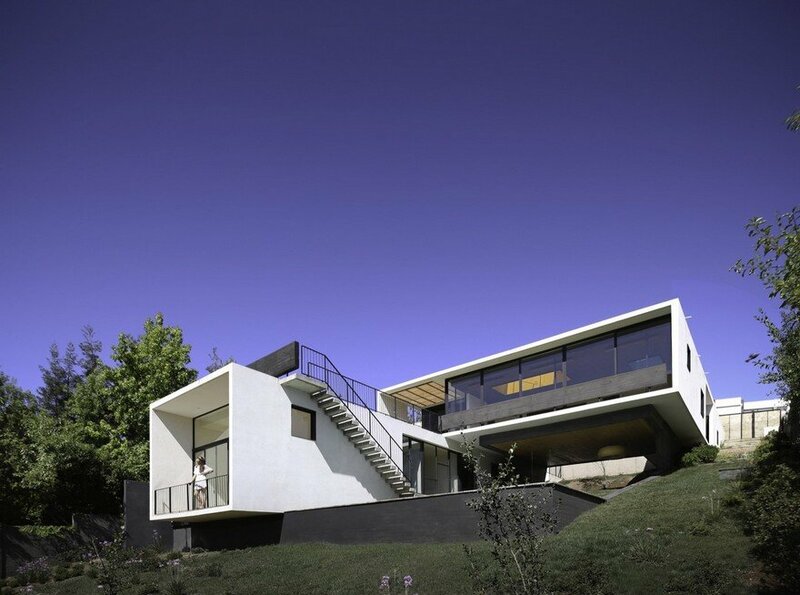 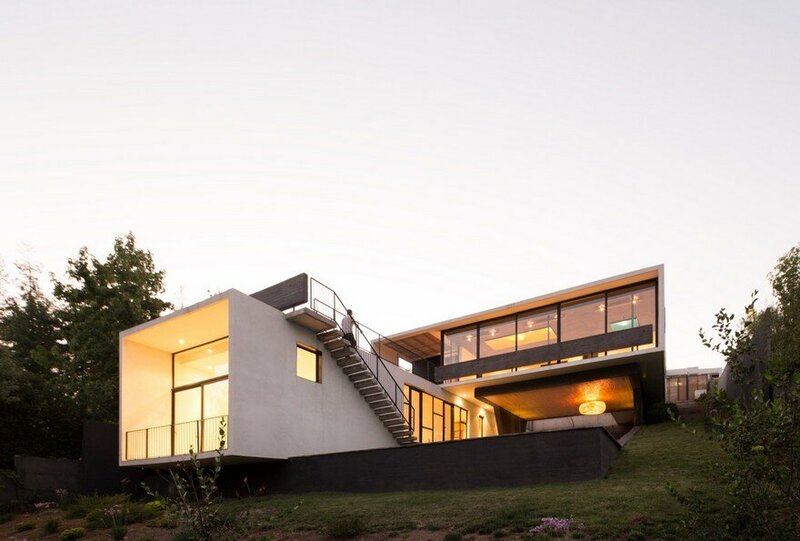 This volume rests on a bar, set against the south plot boundary, along with the direction of the slope, that contains the house bedrooms, and on a structural wall on the north. 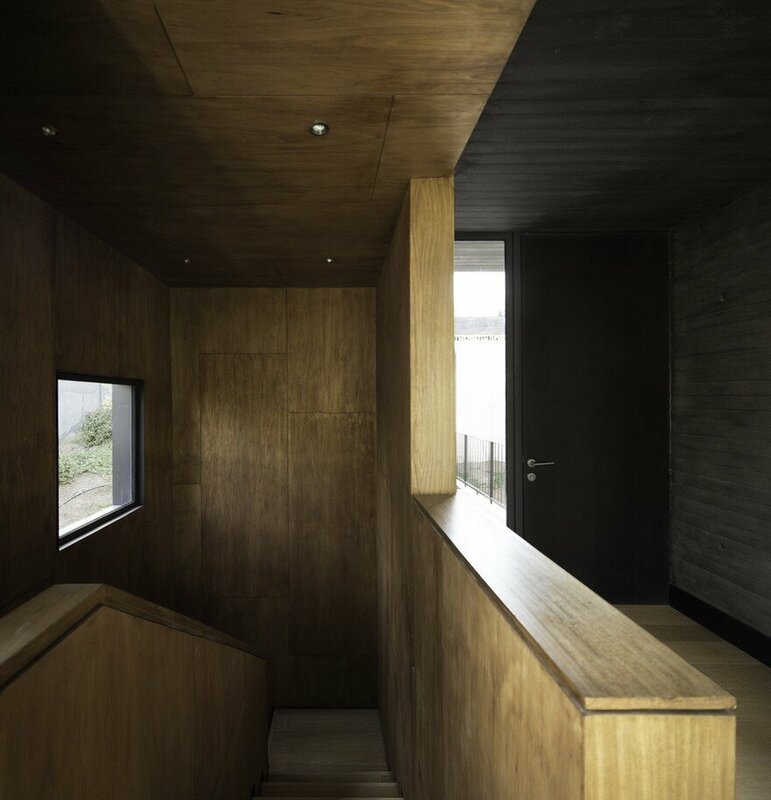 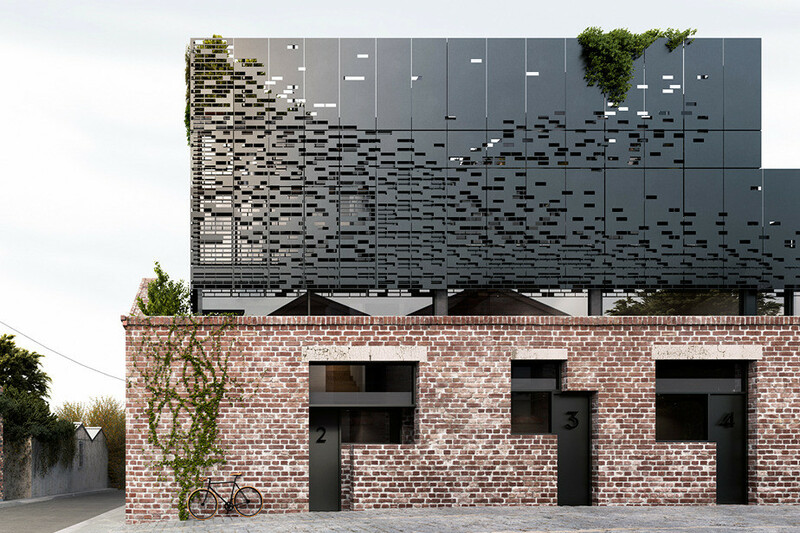 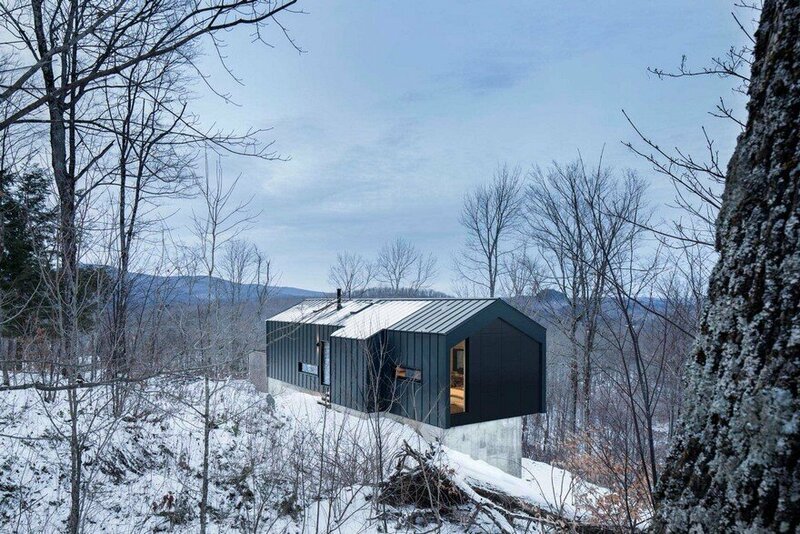 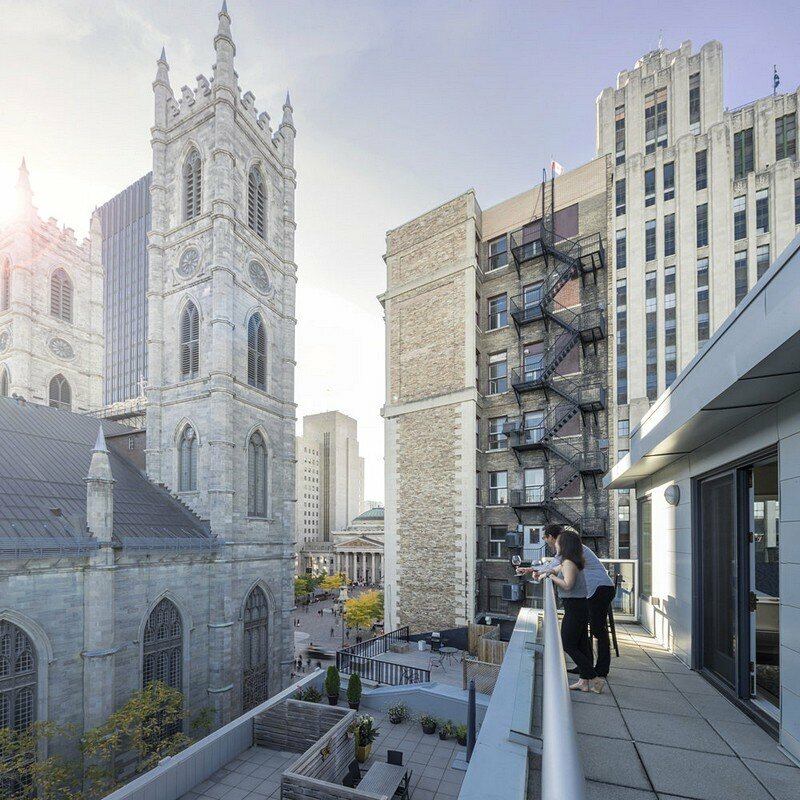 Between the both arise an exterior space that allows to read the original topography of the site and project itself towards the landscape, passing free below the public volume. 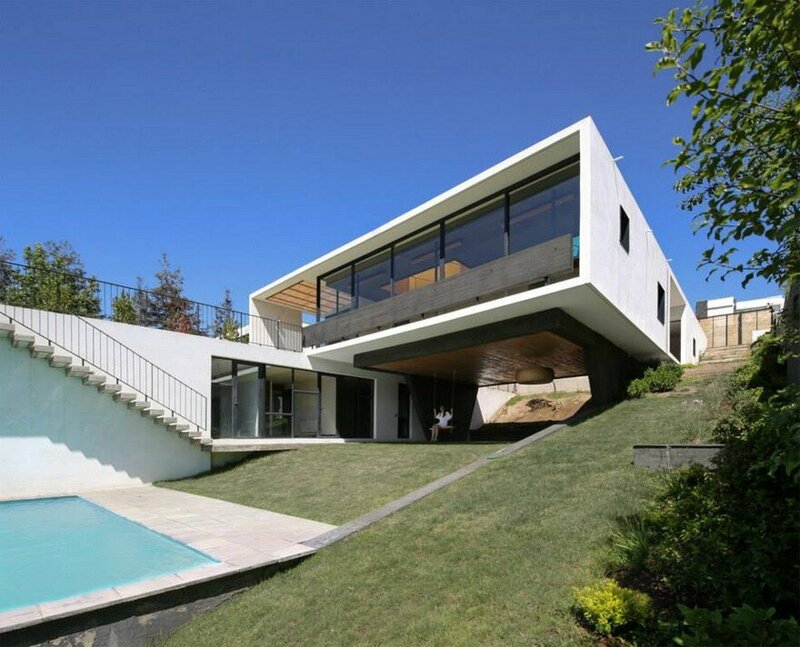 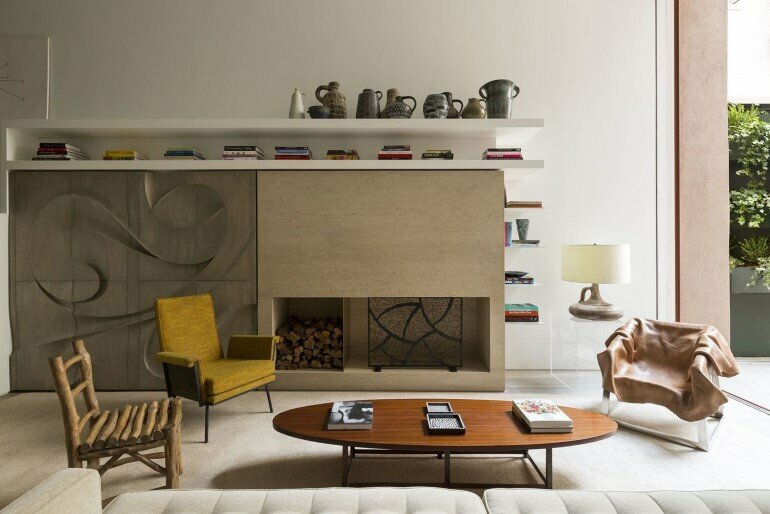 In this space, very linked to the house life, follows the access patio, a roofed terrace, a garden area and the pool. 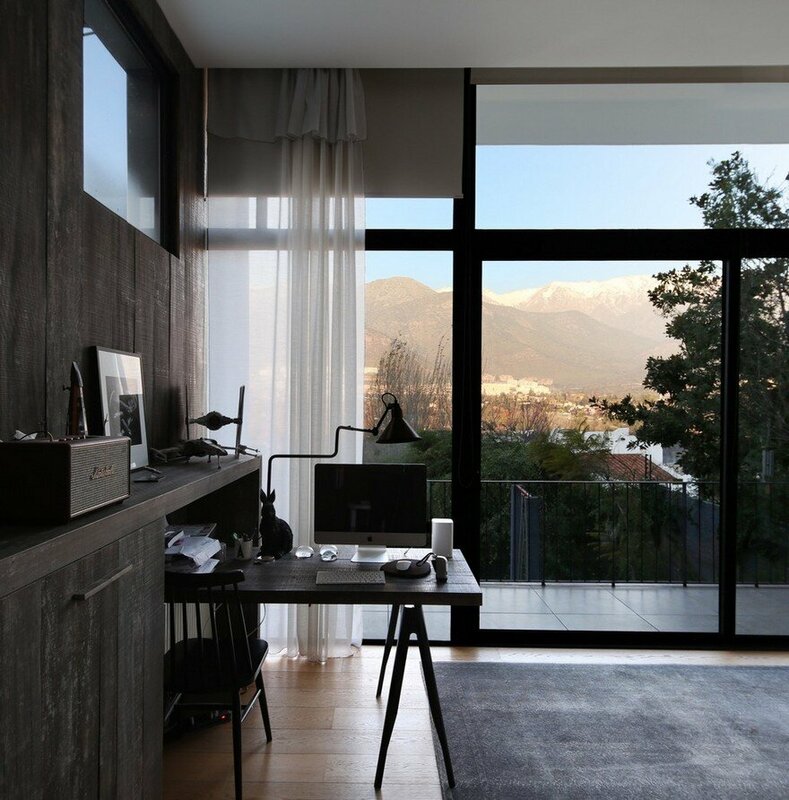 In the inferior level the children bedrooms and the family room are linked to this exterior space and the master bedroom its projected towards the mountains views, gaining a degree of independence. 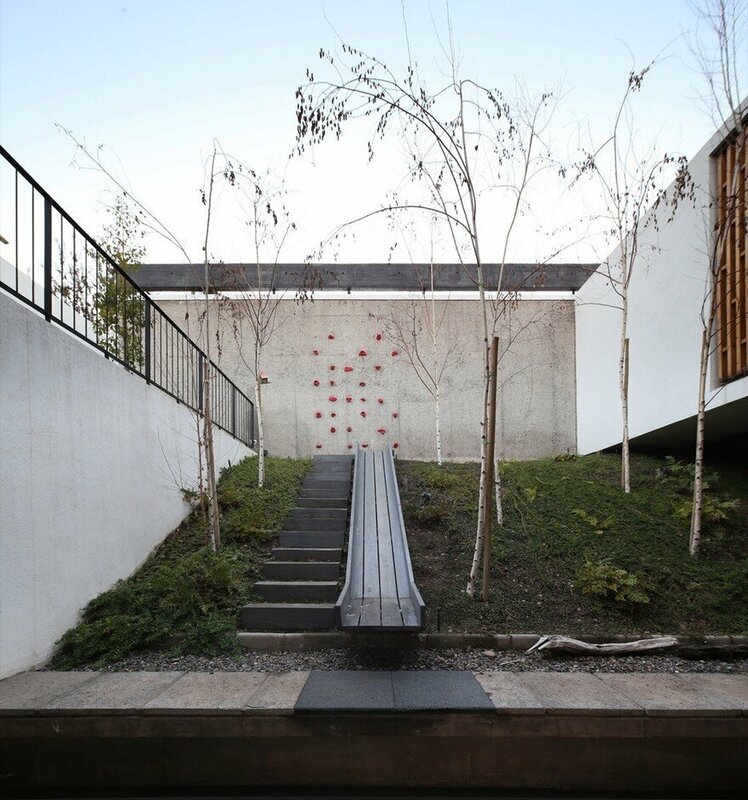 The garden roof of this volume serves as exterior space to the living room and dining room, and communicate them to the site and the pool trough a stair. 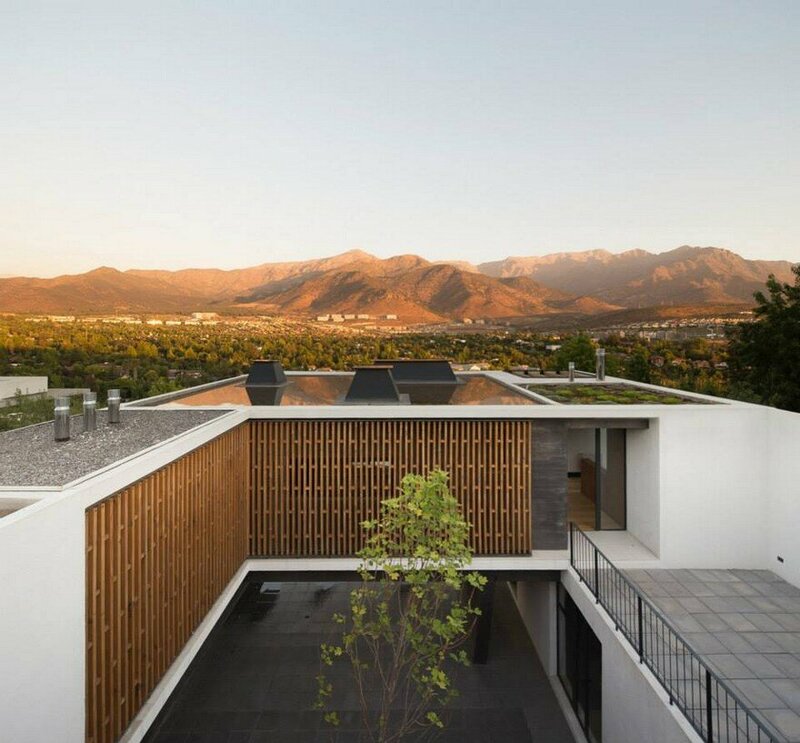 In terms of materials, this beautiful home seeks a frame of neutrality in the white stucco, a frame that encloses water planes, vegetation, black concrete and wood. 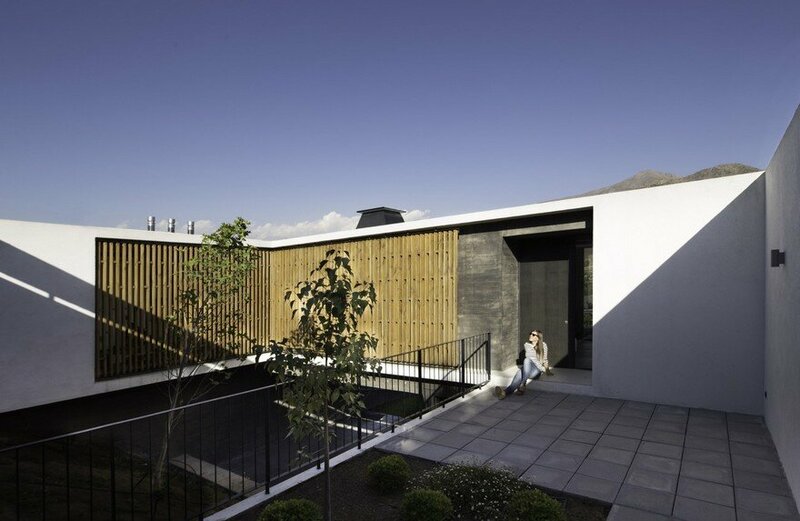 Some accents in this neutrality are given trough black steel rails, window frames and skylights.